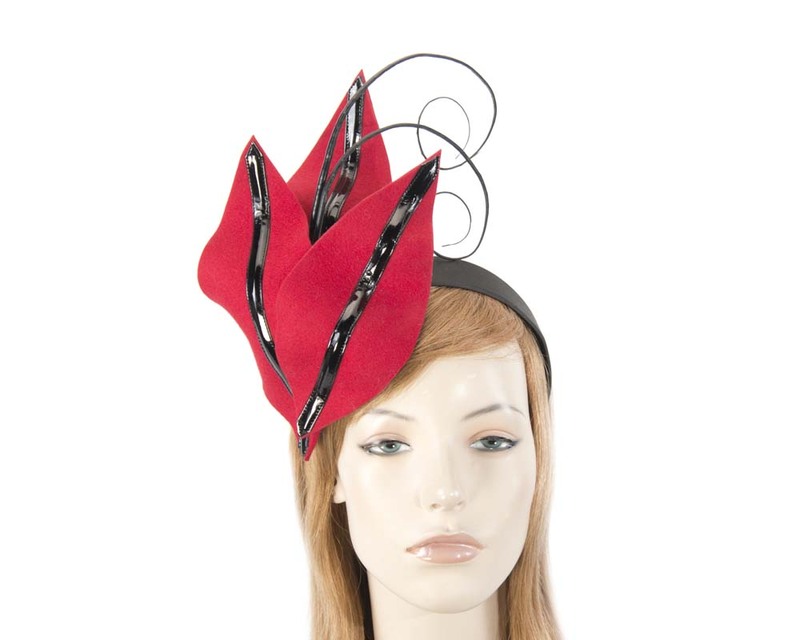 Unique creation from latest autumn and winter Filles Collection. 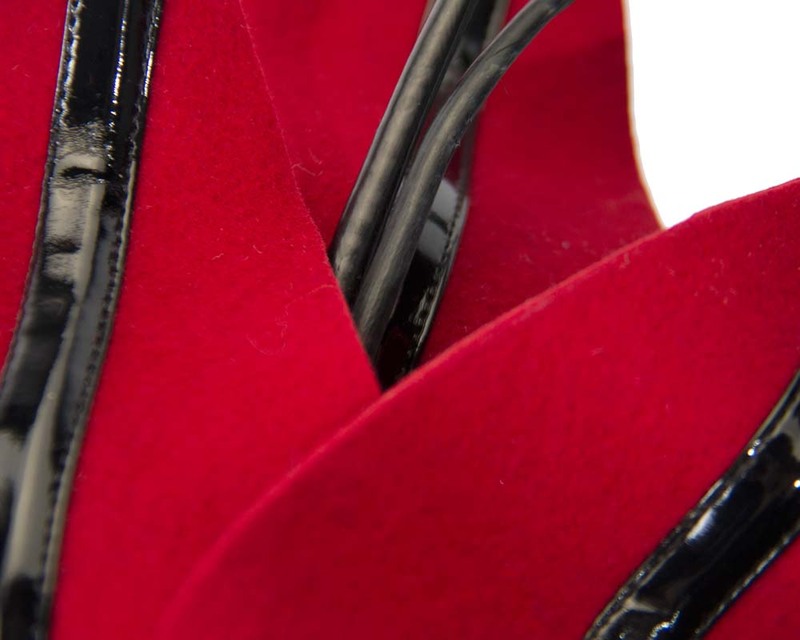 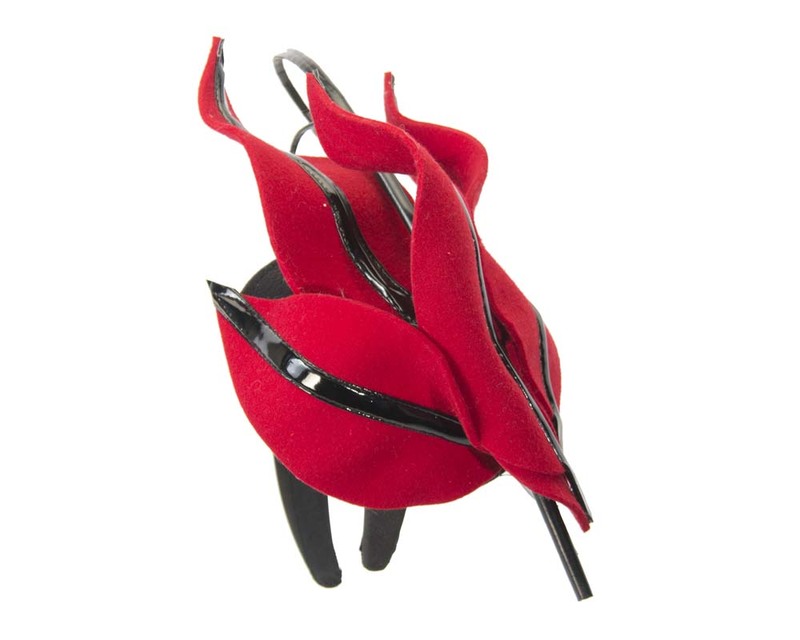 Hand made from real felt with leather trim, this red fascinator is crafted to perfection by our experienced milliners right here, in Melbourne. 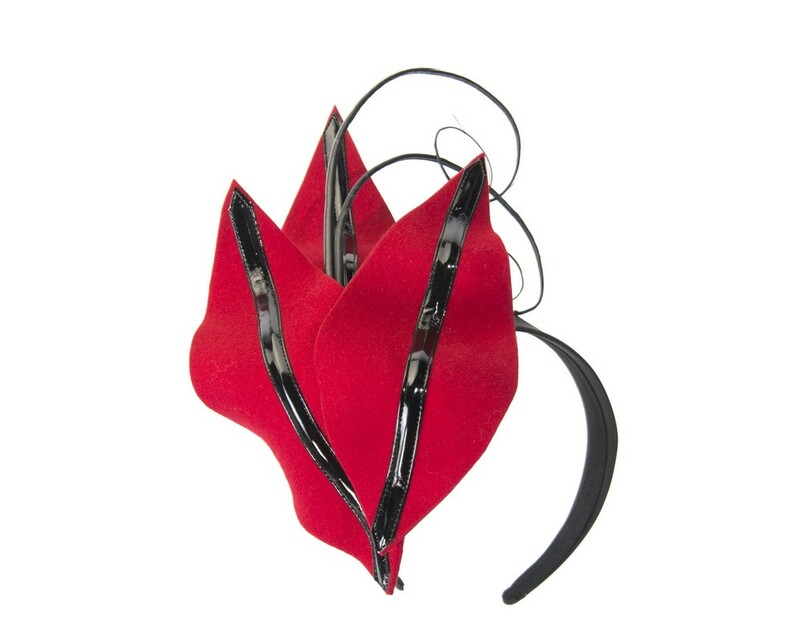 Perfect choice for next autumn/winter racing carnival.